New Software available for 2019! Kudos to smartOar user Chinook Performance Racing on their 2018 results at the San Diego Crew Classic, the HOCR and their stellar performance at the Henley Masters Regatta. smartOar will help you make them better. Train smart: know what’s going on in the boat. How hard is each rower pulling? How well are they pulling together? We used smartOars during our selection camp and training phase for the U23 Women’s National Team that ended up having great performances in Bulgaria (sweeping the 8+, 4-, 2-). SmartOar is the only easy -to-use, real-time force measuring equipment on the market. Now, coaches all over the country can see the force actually exerted by their rowers through the stroke. You see the actual catch and finish timing and can show them how to adapt and change to achieve even more speed through the water. SmartOar gives you visibility into each stroke, in real time, from the launch. It can help you make the changes you need in order to get the best from your crews. Gate Angle Sensors let you see the catch and release in detail – in real time. Oar instrumentation adds just 2 ounces (60 grams) near the pivot point of the oar . 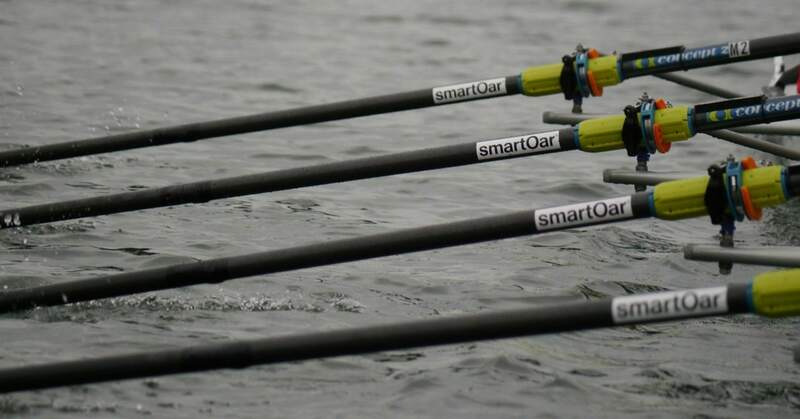 SmartOar can install oar sensors and oarpods on any brand oar, sweep, sculling, and indoor tank oars. In recent years, feedback loops have improved rowing around the world: video, speedometers and ergometers help rowers and coaches make changes. On the water, the coaches eyes and judgement are critical to making effective crews. SmartOar can enhance a coach’s effectiveness by showing the actual shape of the force curves and their timing relationships to rowers to help them make changes in their stroke. Crews can visually see the importance of catching together and how to better match the shape of their curves. Current systems used by national teams around the world are prohibitively expensive and difficult to use – often requiring consultants just to interpret the data. They can be barely usable in practice, let alone when it matters most in seat racing and racing. smartOar is an easy-to-use, reliable, and reasonably priced system that all rowers can use in everyday training and racing.